Repairing an unbootable Windows 7 installation can be a difficult task as you can’t use Windows tools or third-party tools like Easy BCD to repair Windows startup. 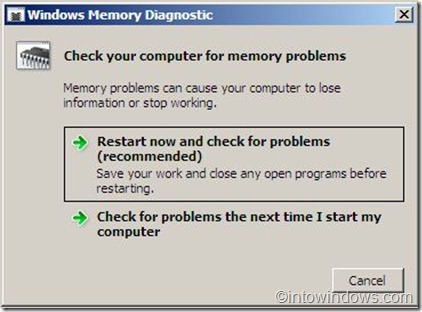 In most of the cases, troubleshooting Windows 7 startup is very simple if you know a few Windows troubleshooting tools. XP users will be surprised to see that the GUI based Windows Recovery Environment. 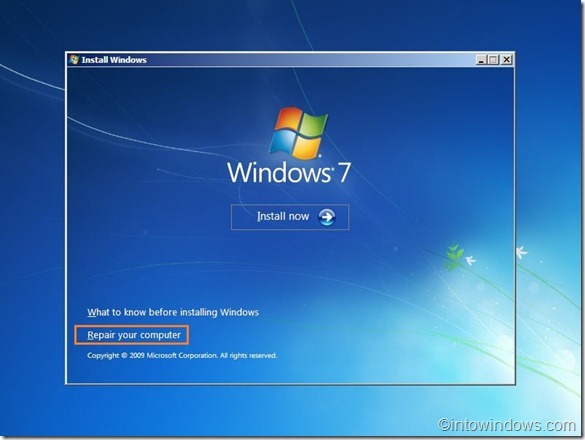 Windows 7 automatically installs the Startup Repair tool onto the operating system partition, so you will always have access to it. 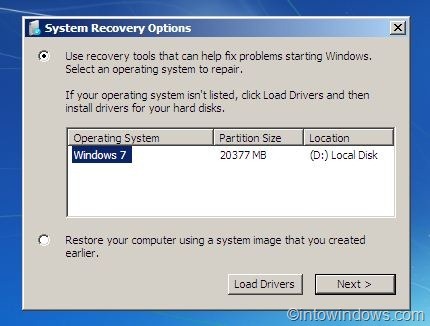 After an unsuccessful boot, Windows 7 automatically loads Startup repair, which scans your PC for issues, automatically repairs when possible, and then reboots as normal. If your Windows 7 is not booting, you can follow the instructions given below to fix the problem. But before proceeding make sure that all system hardware is working fine. 1. Turn on your PC, insert the Windows 7 installation DVD and then reboot your machine. If you have created bootable Windows 7 USB flash drive, insert it to start the process. 2. Press any key when prompted to do so. Once you press any key, you will see Windows is loading files. 3. Once you see Install Windows screen, select your language, keyboard or input panel, and time format and finally click Next button to proceed to the next step. 4. In the following screen, you will see Install now button along with repair your computer option at the bottom of the screen. Click Repair your computer option to see System Recovery options box. 5. Select your operating system also select Use recovery tools that can help fix problems. 6. 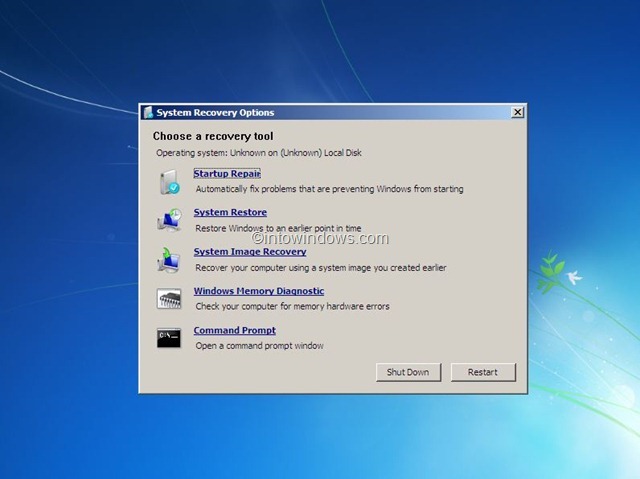 Under System Recovery options, you will see tools such as Startup Repair, System Restore, Windows Complete PC Restore, Windows Memory Diagnostic Tool, and Command Prompt. 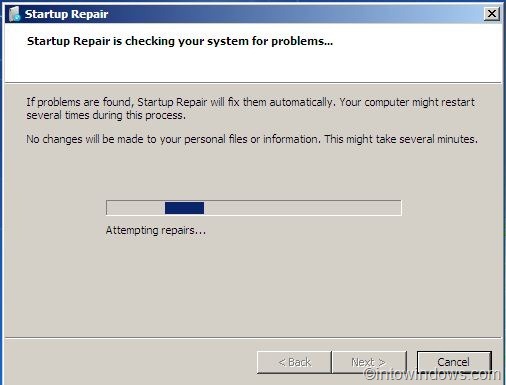 Startup Repair- This option allows you fix missing or damaged system files that might prevent Windows from starting correctly. 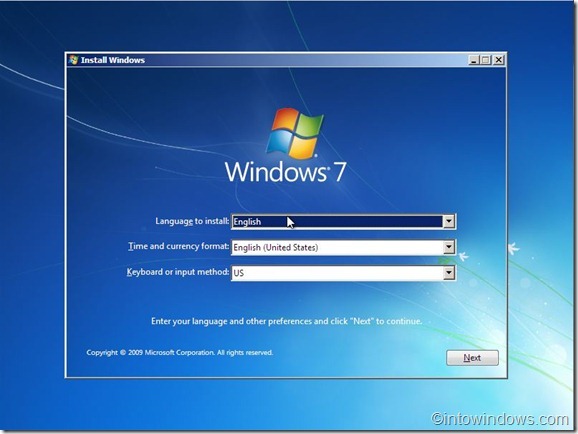 In most of the cases, you will be able to boot Windows 7 with this option. 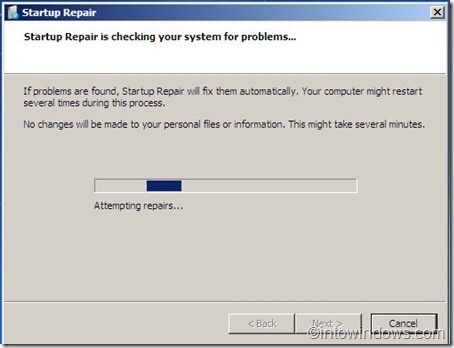 Startup Repair will check your system for problems, and if found Startup Repair will fix them automatically. Your computer might restart several times during this process. 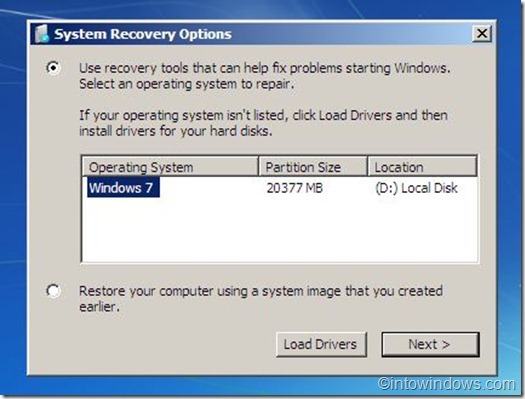 System Restore- You can use this feature to restore your Windows 7 to an earlier state. Note that you can use this feature only if you haven’t disabled System Restore. System Restore uses restore points to return your system files and settings to an earlier point in time without affecting personal files. 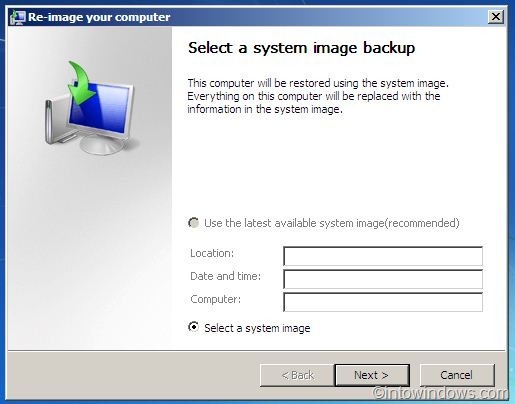 System Image Recovery- As you may know, Windows 7 lets you restore your computer using a system image backup that you created earlier. 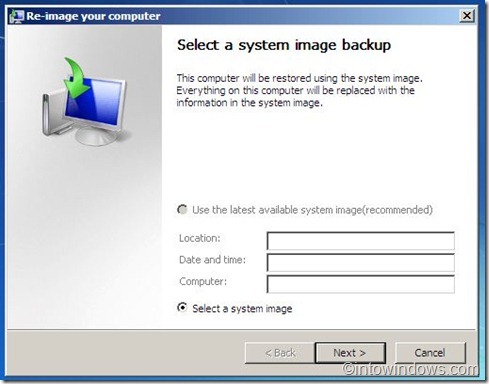 If you would like to restore your computer using system image backup (if you have created one), use this feature. 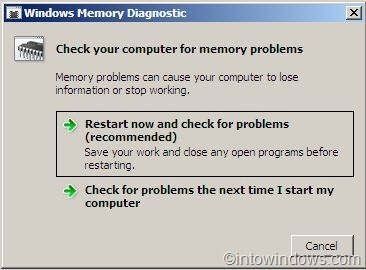 Windows Memory Diagnostic Tool- Scans your computer’s memory for errors. It might take several minutes for the tool to finish checking your computer’s memory. Assuming that the tips above cannot help you, you can try System Restore to roll back your Windows to an earlier good state. To begin with, reboot your computer from a bootable USB drive or DVD. Then, in “Install Windows” screen, select “Repair your computer”. Finally, “Troubleshoot” > “Advanced option” > “System Restore”. Lastly, click “Troubleshooting” > “Advanced option” > “Automatic repair”. You may need to wait for a while to see the screen. It’s also possible that your media isn’t working! When I get to the part that ask for a language and it says ‘US’ and i click next, the screen following that doesnt show up. it doesnt shut down it just has that windows background with the arrow on the screen, what’s wrong and what should i do. tanx alot,it worked like magic for me.i had a huge windows error on my laptop & it would’nt boot.the commands did me good. I don’t have the disk that came with it, we have moved 2 times since I bought it,,how can I continue without the disk? For step #5, what if I dont see my OS in the box? My drive is visible in BIOS but when I start up my computer it says, “Error loading Operating System.” So, I used my Windows 7 disc as a boot option but when I choose the option to repair my computer my operating system is not showing. How can I fix it if it is not showing? I am also not able to go into safe made. I’ve tried every function key but nothing outside of F2(Setup) or F12(Settings) seems to work. Please help. This computer has been working great for me and all of a sudden it’s doing this. This is so frustrating. My laptop is failing to boot Windows 7, but automatically goes to Startup Repair, which starts “checking my system for problems”. Been at this stage for about two hours. How do I know it’s not going to be like this all day and night? Also tried repair system & cmd promt bootfix using win7 dvd eventhough no result. @Paul I actually had that problem, so thank you for your advice. FYI – I actually had to select F12 (Boot Options) to get it to boot from the CD. Not sure if anyone else had that problem. My problem occurred recently after multiple Windows 7 64bit (SP1)updates. when i startup, it only has the background showing. nothing happens & Windows doesn’t appear. Options wont show up. it just shows my mouse and the backrgound image, no icons, no Start option box. I’ve tried system recovery, but no change. PLEASE HELP ME! Please reply via email. Thanks! Please I need help! My problem is that when I launch Startup Repair a grey option box appears with language, keyboard select. The box is not blue like the screenshot shown for step 3. I’m stuck with no cursor since the cursor doesn’t move nor respond. So I use the “tab key” to move around an select my language etc. ; After all that I click “enter”…… and nothing happens. All that is visible is a blue windows backround with the cursor just stuck there. Please help me, I’m in very need for my labtop to work. Please reply via E-mail or here if more convenient. Thank you in advance. 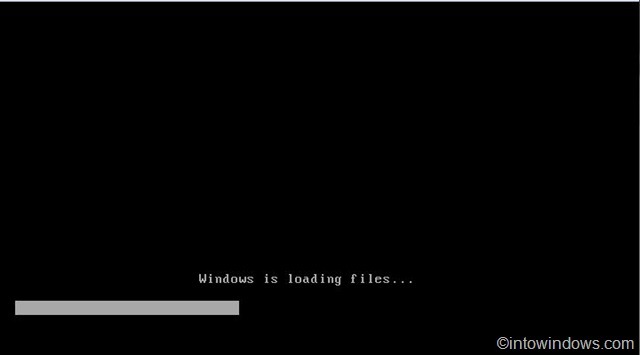 Go into command prompt and type chkdsk after that restart the computer and press F8 till you get a screen that has many different boot opptions. Boot into safe mode with networking…Google and install Malware bytes and run a virus scan. The above comment was with wrong email….I have a gateway nv52 with windows 7…Got a virus so I decided to recover it back to factory by choosing the recovery prompt…I’ve been successful once before but this time it did not work…It went through the process all the way up to the point to preparing desktop and then it crashes. I get to the point of putting in password, it says welcome and then says preparing desktop for a few seconds and then crashes. I can get to safe mode and command prompt. Any suggestions? Hello I tried using my windows 7 installation disk to repair my laptop but i keep getting this error. Somethings I want to ask…without CD can solve the problem??? Look at my cases,when I open the window then going to WINDOW ERROR RECOVERY with 2 options (Launch startup repair(recommanded) and (Start windows normally). After that I press Launch startup repair (recommanded)and turn out STARTUP REPAIR and I wwait until finish the process I press RESTART and starting up with Window cooperation without LOGO and turn out Black Screen with Mouse controller…WTF? I hope u guys can give me some advice and now I’m getting blame by this problem. my problem is when i launch startup repair it only has the background in it. nothing happens the box thingy with the options wont show up. it just shows my mouse and the backrgound image of the startup no option box. PLEASE HELP ME! i just used the laptop work fine yesterday now its having major problems T_T i am sure the i did nothing to the laptop. please reply via email or just here. if i use the command promt and put scan OS wat will that do? i dont wanna lose my important pictures, is there anyway i can connect maybe my comp to another and transfer files even thou it doesnt want to boot?? Strange as you are using the same bootable Windows 7 DVD that you have used before. Try to install Windows 7 from XP. That is, boot into your XP, format a partition to install Windows 7, insert Windows 7 DVD, and start installation. Should work fine. i’m having problem installing windows 7 in my computer. i was using windows 7 before. i installed it and it worked properly for about a year. but last week. i tried to dual boot my computer. i want to make an xp and windows 7 OS. so i tried to make a partition in my HDD. but when i was about to install my windows 7, nothing happens. i’ve changed the boot priority, inserted the windows 7 DVD and restarted my unit. then a cursor appears, but then theres nothing. the “press any key to boot from CD or DVD.” doesn’t appear. please help me. I had a startup problem in my vista computer. And as soon as i did that, i got so many problems in my computer such as firewall won’t start, i can’t view the web, and some services in administrative tools won’t start because i receive an error 5 that says denied, and something like that so i will do recovery. Omg! Thank you very much, it worked for me. I had dual boot with Grub (Linux) installed. After I did some reconfiguration I wasn’t able to boot into windows. I used Command prompt to check and fix boot and I did it. Now I’m using two separate disks…Vista and 7 on first and Ububtu on second hard drive. Everithing working fine now. This tutorial was very helpfull to me.